Do-It-Yourself mania is goin' on this blog, lately. I hope you're trying out with all the DIY stuff, and have liked them too. 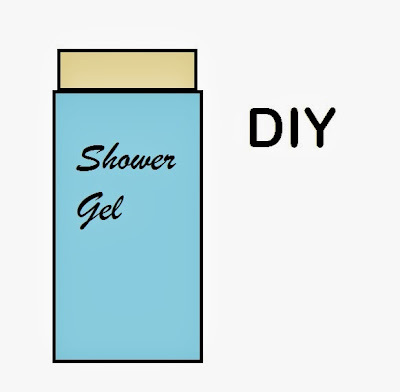 Today you'll learn how to make a scented body-wash/shower-gel at home! Sounds super-fun, doesn't it? Mix all the ingredients in the large bowl. Take a small amount of it on the loofah, and massage your body.